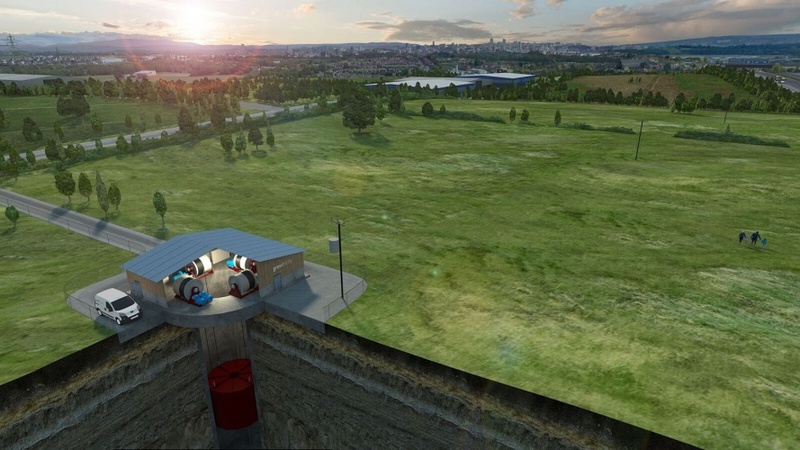 Disused mine shafts around the UK could soon be used as giant gravity batteries, capable of reacting to grid demands in under a second. 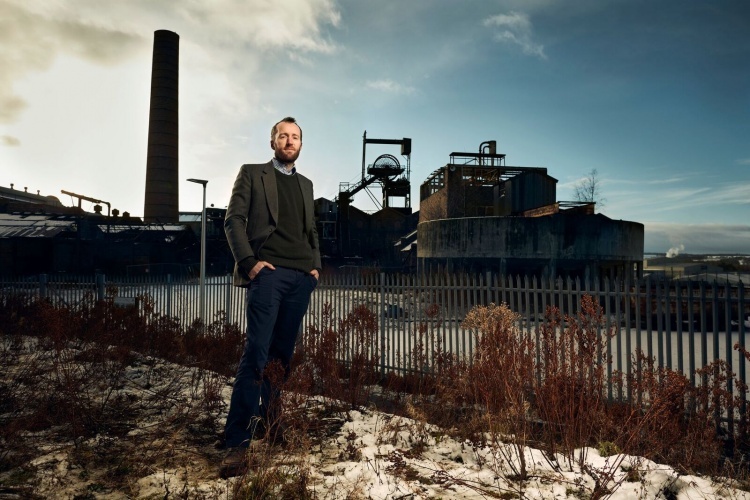 Startup Gravitricity, which has just received a £650,000 grant from Innovate UK, plans to use abandoned shafts to house massive weights. When energy is plentiful, the weights will be winched towards the surface, in much the same way that water is driven uphill in pumped hydro storage. However, unlike pumped hydro, the system should be able to respond to fluctuations in demand almost instantly. “As we rely more and more on renewable energy, there is an increasing need to find ways to store that energy – so we can produce quick bursts of power exactly when it is needed,” said Gravitricity managing director Charlie Blair. This week’s poll: Which approach to battery storage do you favour? According to Blair, the system is capable of operating for decades without degradation and could have a lifespan of around 50 years. Models from 1 to 20MW will be offered, with a part-scale demonstrator planned for later this year. Gravitricity is currently seeking to partner with investors, including those who can bring mining experience to the team. The company is also examining a number of disused mine shafts – both in the UK and South Africa – and hopes to have a full-scale working prototype up and running by 2020. I have thought about this for years but using an inclined plane. A mine shaft is much better – an 800m shaft with a 2,000 Tonne load could store/generate about 4.5 MWh ignoring losses (unless my maths is wrong). There are plenty of old mine shafts and why not a 4,000 Tonne load? Doesn’t sound expensive in capital or running cost terms. This gives you all, and us Americans too, a whole new meaning of “winding up Big Ben”! I’ve also been wondering for years how to use mechanical potential energy storage, but didn’t think of the old mineshafts. Seems an excellent idea. Another gravity storage system – this uses a train hauling rocks up to the top of an incline as an alternative to pumped storage. In California, see https://www.aresnorthamerica.com/. The mineshaft idea above seems (gut feel) to have lower lifetime costs and more reliable? Good simple innovation. Storage is essential and much needed in the power system. There is a German system that pumps massive rocks using hydraulic pressure to store energy. Compressed air storage using caverns and tunnels is also promising, and is actually developed at the commercial scale: even if only two are in use. 6000 tons is 6000 m³ of water. Not much really. It would be far more sensible to stick to established technology and fill the galleries at the bottom of the mine with water and pump it up and down. Anyway, all this expensive technology is only needed because of the shortcomings of subsidised wind and solar power. Abolish the subsidies, the problem goes away and power prices decrease. What more could you want? They have looked at that down here in Cornwall. Trouble is there is a pollution problem with water leaking out. If you look at some of the agits down here, you find nothing living. This idea has merit, the only question I would have is how long in time would it take to reach the bottom of the shaft ? This will depend only on the speed of drop which will vary with the power output required. Essentially one is releasing via gravity the potential energy in the weight, and one can choose how quickly you do this. The approach surely must be much less expensive than batteries. must be kept dry i think! * now tens of thousands, in future hundreds of thousands, to store one day’s worth of Britain’s wind farm energy generation which is about the energy storage capacity which will be needed to configure a grid that can convert intermittent wind energy to power on demand, 24/7/52. There’s no harm in innovating for the sake of innovating I suppose but Britain does really need to accelerate our neglected plans for large scale (100+GWh) pumped-storage hydroelectric schemes, which are gathering dust on shelves, or the internet equivalent. Scaling up a proven technology like this may not be particularly “innovative” but it works. What to use for the 2000 tonne weight….? Hmm, a heavy element would be ideal – can you think of any lying around in vaults in large quantities, that is currently of little use to society…. ?